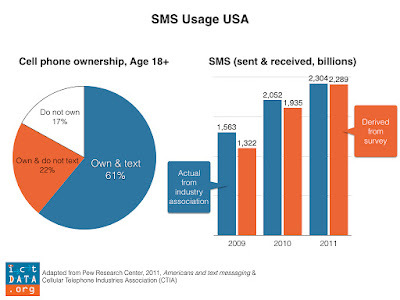 Pew Research Center conducted a demand side survey of Americans 18+ about their SMS use. 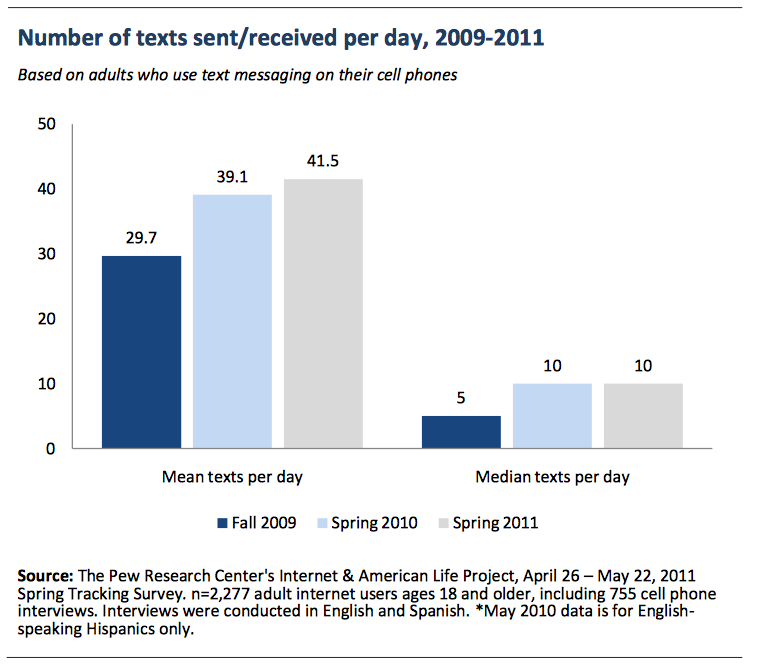 They found of the 61% of Americans who text, on average they send or receive 42 per day, up from 30 in 2009. The average is inflated by heavy duty users given that the median is only 10. 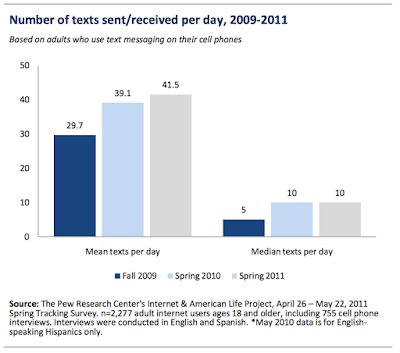 It is interesting to compare the survey results with actual data on SMS sent and received. The cellular industry association in the United States, CTIA, publishes statistics on the volume of text messages sent and received. They reported 2,304 billion in 2011. The figures reported by users are fairly close to the actual data.